Margaret Parrott is a retired teacher and artist. She has created two decks of playing cards, one with Pueblo Kachinas on the face cards and the other with Northwest Coastal Native American masks and in collaboration with her son, the songwriter Thom Parrott, she created the 82 card Parrott Tarot. 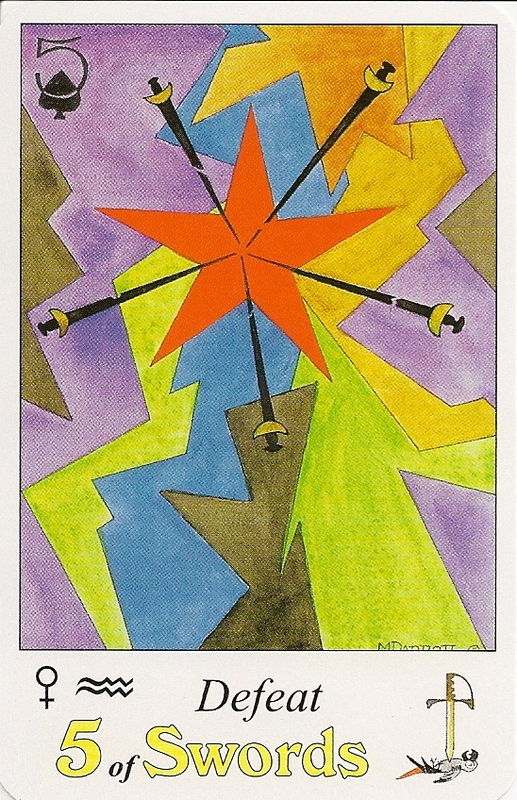 Each Major Arcana card has the card number in the upper left corner and in the bottom left border. 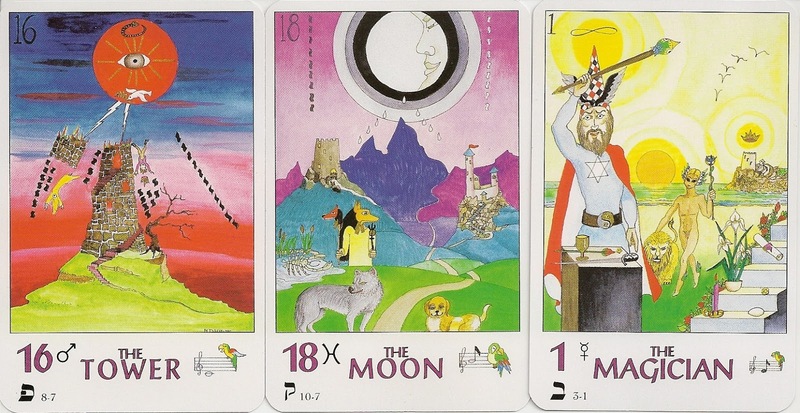 The bottom border also has the Astrological correspondence, the Hebrew letter, the card name, the path on the Tree of Life, and a musical scale with the corresponding note and a Parrot.The musical notes in the major arcana are Paul Foster Case’s notes that accompany the majors in his teachings. The Court Cards have the associated playing card symbol in the upper left corner. 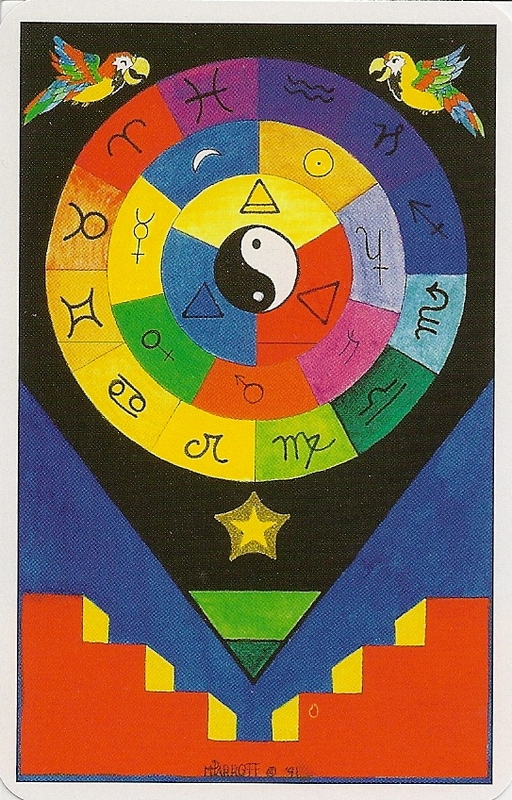 The bottom border has the astrological correspondence, the elemental correspondence, the name of the card and a Parrot. The Minor Arcana have the same information plus a keyword, which is the same key word as in the Thoth Tarot. The deck has an additional court card called "the Mentor", which is placed between the Prince and the Queen. The deck came with a short a fold out sheet, more information can be found on the artist's website.